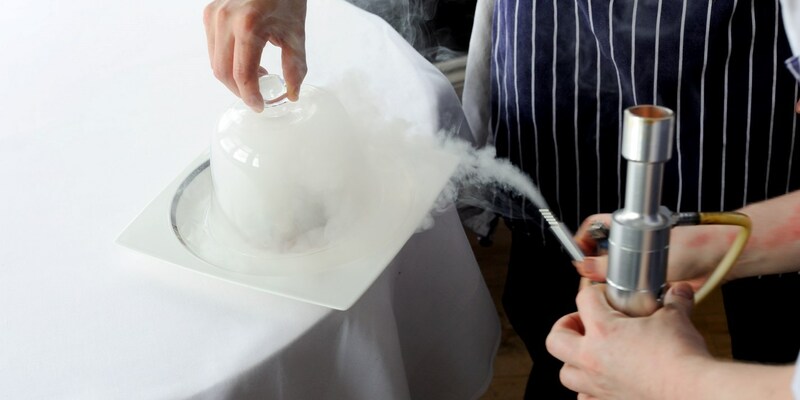 Smoking food has made a resounding comeback in recent years, with chefs embracing this traditional technique with increasing enthusiasm. This has had a trickle-down effect, with more and more ambitious foodies trying this method themselves at home. This collection of smoked recipes shows off the full gamut of what can be achieved with this technique, from hay-smoked cheese in Christoffer Hruskova's recipe, to Marcus Wareing's highly achievable smoked beetroot recipe, which uses Lapsang Souchong tea to impart a beautifully peaty flavour. To get a fantastic smoky flavour without the hassle, just add some ready-smoked ingredients - Josh Eggleton serves his sublime duck liver parfait with strips of smoked duck breast, while Paul Ainsworth uses a drop of liquid smoke to confit egg yolks in his stunning steak recipe. Check out our article on how to home smoke for further information on smoking techniques.